This was a conference session titled How to Quadruple Revenue Using Existing Traffic from Affiliate Summit West 2012, which took place January 8-10, 2012 in Las Vegas at Caesars Palace Las Vegas. Jennifer Myers Ward, CEO, ebove & beyond, inc. Learn strategies to explode your conversion rates, including 5 easy ways to increase conversion, 3 ways to monetize blogs, 4 ways to clear costly clutter, and 7 ways to make more money. 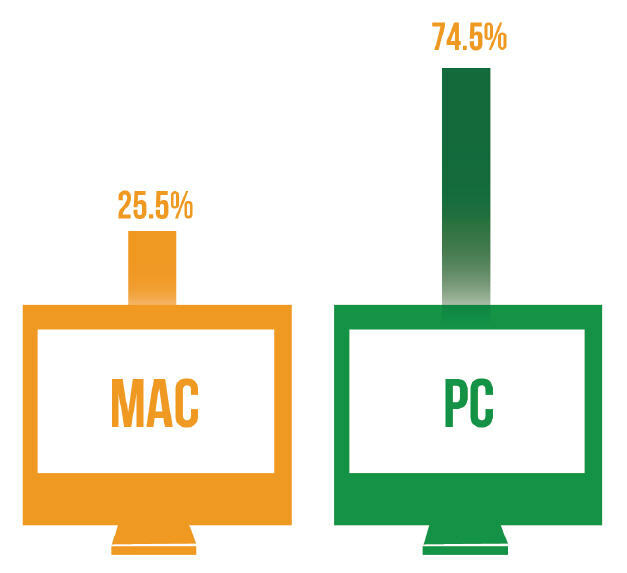 Affiliates were asked “Mac or PC?” for the 2013 Affiliate Summit AffStat Report. Only a quarter of the people said they were a Mac, while the large majority favored PC’s. I’ve been using PC’s for my work since I got my first computer back in 1994. Lots of people like to claim that once you go Mac, you never go back. Well, I wanted to test that premise, and I got a Macbook years ago. I went back. Team PC! More than sixteen-hundred affiliates were surveyed on their methods, preferences, and strategies for the 2013 Affiliate Summit AffStat Report. More details on AffStat at AffStat.com. This was a conference session titled Making Money With Affiliate Programs for Beginners from Affiliate Summit West 2012, which took place January 8-10, 2012 in Las Vegas at Caesars Palace Las Vegas. James Martell, President, Net Guides Publishing Inc.
A visually-rich presentation detailing the 5 industry players, 7 popular affiliate models, 5 tips for choosing profitable topics, 5 web development strategies and 10 tips to get on the fast track. Top Tech 2014, a book published by Internet Retailer that lists the leading vendors to the Top 1000 e-retailers, has ranked the top 10 affiliate networks. Well, the list is mostly networks, though they refer to them as the top “affiliate marketing services providers”. The rankings are based on the combined 2012 online sales figures of each company’s clients ranked in the Internet Retailer Top 1000. It will be interesting to see how the numbers shake out with the closure of Google Affiliate Network earlier this year. The eighth annual Affiliate Summit Pinnacle Awards will be presented on Tuesday, January 14, 2014 at Affiliate Summit West 2014, taking place at Paris Las Vegas. Nominations are being accepted for the Affiliate Summit Pinnacle Awards through November 30, 2013. This will be right before the keynote address from Derek Flanzraich, Founder & CEO of Greatist. 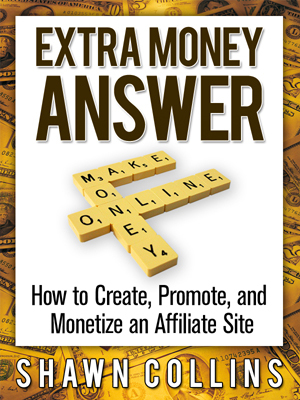 My book, Extra Money Answer, where I teach newbies how to get started as an affiliate, was exclusive to Amazon until recently. But now it’s available in print and digital from a number of booksellers. Extra Money Answer provides a real and honest picture of the opportunities in affiliate marketing. In the book, I explain how most people don’t make much at all, and that it requires lots of time, testing, and patience. But you can make extra money if you do it right. Learn how to come up with ideas for affiliate sites, create content, drive traffic, and make money with the site. Wondering why you should read my book? Well, I’ve been an affiliate since 1997. I also managed affiliate programs for ten years, and co-founded the Affiliate Summit conference in 2003. I’ve done this stuff every day since the 90’s and I know what works. Also, you’ve probably seen books, ebooks, courses, etc. that claim they can teach you how to get rich quick. I don’t do that. You won’t get rich quick as an affiliate. You probably won’t get rich slow, either. But it’s a great way to earn an extra $50, $100, or more a month. You can get Extra Money Answer in either digital or paperbook formats from a number of booksellers. After you read Extra Money Answer, please post a review. Contact me with any questions. Heather Diamani spoke about 5 key items you should know about online video to get started or improve your video marketing at the Affiliate Summit Meetup in Austin, TX on November 19, 2013. Heather Diamani is an Iraq war veteran turned affiliate marketer and wellness coach who created Blendhappy to inspire optimal health. She’s gained a lot of attention and opportunities through her blog and YouTube channel. Along with her passion for video marketing she’s also a freelance website developer. Her passion, enthusiasm, and ambition for knowledge and entrepreneurship have her creating more businesses online including a product line and an organization. There was also a lively Q&A time where Heather helped lots of folks with their questions about video marketing. Thanks a lot to Heather and everybody that came out for some lunchtime shop talk. This was a conference session titled CPA Phone Calls – Local Advertising Opportunity from Affiliate Summit West 2012, which took place January 8-10, 2012 in Las Vegas at Caesars Palace Las Vegas. Online and Mobile Affiliate networks are represented new opportunities to tap into the $21.7B local advertising market with automatically distributed ad inventory powered by CPA Phone Calls. This was a conference session titled 25 Ways You Can Improve Your Website from Affiliate Summit West 2012, which took place January 8-10, 2012 in Las Vegas at Caesars Palace Las Vegas. Top 25 things webmasters should look at when building a site or evaluating their website performance. Attendees will leave with actionable items to improve their sites with easy to implement steps. Affiliates were asked “How many affiliate programs are you currently promoting?” for the 2013 Affiliate Summit AffStat Report. The most popular response, at 53.6%, was direct deposit, followed by 28.1% for PayPal. 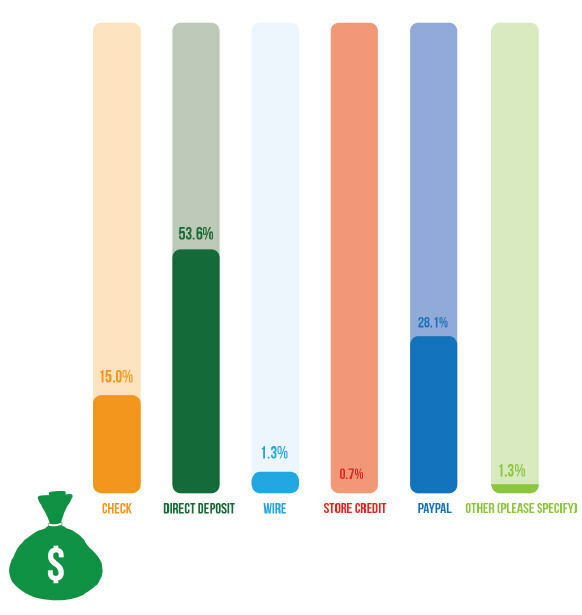 Then there were 15% who still like getting a check, as well as 1.3% favoring wires, another 1.3% who stated other, and just 0.7% for store credit. I used to be big on getting checks, because I liked the psychological part of feeling the money as it came in. But then I was noticing that it was becoming a hassle to make trips to the bank. Direct deposit is definitely a nice option, as well as PayPal for the small number of programs where I’ve got it as an option. I do still have some checks in, but I may as well change those over to direct deposit, because I just deposit them by phone now, and that brief process, as well as the chance of misplacing them has become a nuisance.